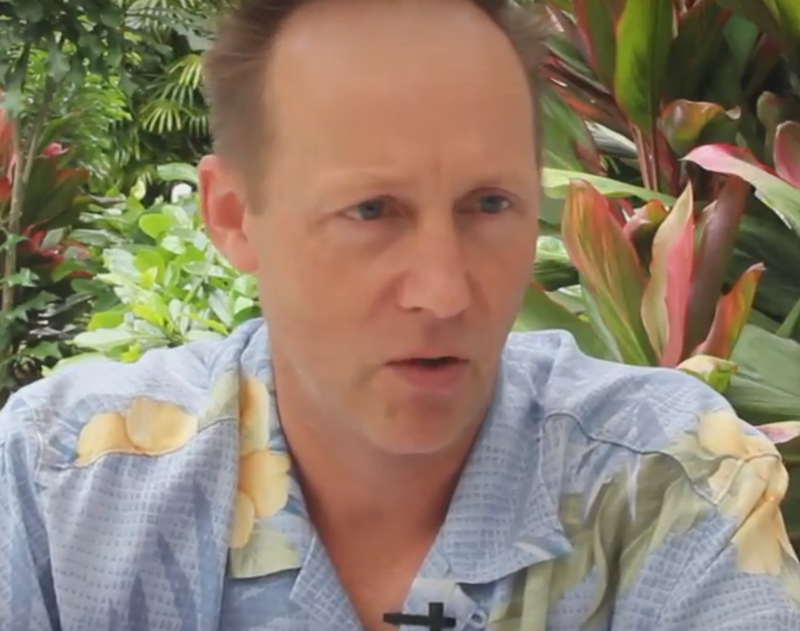 Editor’s Note: This is the first in a series of interviews with JR Robinson, founder of Honolulu-based Financial Planning Hawaii. Holding a degree in Economics from Williams College, he has been a financial advisor since 1989. 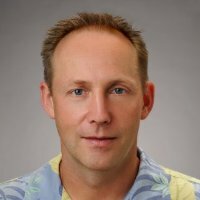 A regular contributor to Hawaii Reporter, JR has written on a broad range of financial planning topics that have appeared in peer-reviewed academic and professional journals. His most recent contribution, The Determinants of Nest Egg Sustainability, was a Finalist in the Journal of Financial Planning‘s 2016 Academic Research Competition. We sat down with him for a no-holds barred discussion on investment strategy that our readers should find helpful for the New Year. Q: The personal finance world has seen a major trend over the last few years in the areas of index fund/ETF investing and automated “robo” investing platforms. This has led some observers to conclude that the role of the financial adviser may becoming obsolete. What’s your take on that? A: Although index fund investing has been gaining in popularity over the past four decades, the tremendous inflows into index funds and ETFs in recent years offer compelling evidence that the mountain of academic research supporting the benefits of low cost passive portfolio management has finally achieved widespread acceptance. Lower investment costs and greater fee transparency clearly benefit consumers. I think the jury is still out on whether so-called robo-advised platforms add value. At the end of the day, the robo-crowd needs to provide compelling evidence that it can provide superior investment returns relative to lower cost passively managed index funds or that it has some other compelling value proposition. As to the question of whether these two trends will render the financial advisor obsolete, I think it is pretty clear that they are indeed disruptive to the financial advice profession. The days of the financial advisor marketing himself as an investment guru may be numbered. Rapidly fading too are the ranks of FAs charging 1-2% per year based on the promise of market beating investment returns. Investors today are much more sophisticated and are much less likely to buy into such hyperbole. That said, I fervently believe that reports of the death of financial advisors have been greatly exaggerated. For my part, I have been a proponent of index fund investing for many years, and have millions of dollars of client assets invested in them. As I explain to prospective clients all the time, people do not pay me to buy index funds for them, when they could just as easily buy the same funds on their own without having to pay me a dime. Instead, what they are paying for is the value of financial planning guidance beyond simple investment selection. In terms of value added for investment management, this may mean helping clients develop retirement strategies to maximize their portfolio withdrawals while minimizing depletion risk. It may mean working with their CPAs to coordinate withdrawals between taxable, Roth, and tax-deferred accounts in a way that improves tax efficiency. There are a million little rules and portfolio management strategies that may be applied to various clients’ investment circumstances and raising client awareness of the ones that may benefit them goes a long way toward keeping folks like me employed. No less important is the value of financial planning guidance beyond just investment management. This includes raising client awareness of issues pertaining to estate planning, beneficiary designations, asset registrations, education planning, gifting, risk management, etc. I frequently tell people that the biggest, potentially costliest mistakes I find in the financial planning review process often have absolutely nothing to do with investment management. Q: Can you provide some specific examples how financial planning guidance can add value? Earlier this year we helped a couple with $180,000 of after tax money that was co-mingled with pre-tax money in their respective rollover IRAs avoid pro-rata or double taxation on the distribution of this money. By transferring the pre-tax IRA money to the client’s 401(k) accounts, we were then able to process a tax-free conversion of the after-tax money to the clients’ Roth IRAs. Another client who just reached Social Security full retirement age, but is still working, was absolutely tickled to learn that he is eligible to file a restricted application for benefits on his ex-wife’s earnings record while allowing his own primary insurance amount to accrue delayed retirement credits to age 70. Lastly, a client with whom we met last week was planning to give a long held investment property to his son through a quitclaim deed. He was completely unaware that his very low cost basis in the property would transfer to his son and that it might be far more beneficial from ta tax planning perspective for the property to eventually transfer to his son via inheritance. These are just a few examples. We find issues like these with virtually every client. As you can see, the value of the guidance is tangible and often has absolutely nothing to do with investment selection. Q: If you’re a proponent of index fund and ETF investing, do you think individual investors should no longer own individual securities, such as old school stocks and bonds? A: Absolutely not. While there are probably legions of investors, including many financial professionals, who have that perception, I could not disagree more. Index funds often play an important role in portfolio management, but there are many circumstances in which investors’ interests may be better suited with individual securities. One obvious area these days pertains to bonds vs. bond funds. With bond yields hovering near historic lows, bond funds may face unprecedented downside market risk if interest rates eventually spike up. In contrast, if one buys an individual bond or CD, upon maturity the bond owner can expect to get his principal back, regardless of how high interest rates may have risen. In my practice, I regularly buy individual bonds and CDs for clients and have considerably fewer client assets allocated to bond funds. Individual stocks too have certain ownership characteristics that may make them a better fit in certain circumstances than mutual funds or ETFs. For example, the unpredictability of dividend income and capital gains distributions from one year to the next may make mutual funds and ETFs a more suitable choice for IRAs than for taxable accounts. However, the tax favored treatment of dividends and the opportunity for greater portfolio customization may make individual stocks a potentially more compelling choice for non-qualified, income-oriented accounts. It is also worth mentioning that, for all the justifiable praise for the low internal expenses of passively managed index funds, individual stocks and bonds have no internal fees and expenses. Stay tuned for the rest of this series.